If the font size is very small due to a high screen solution please select a larger size in the layout section of your browser. -- C.I.A. 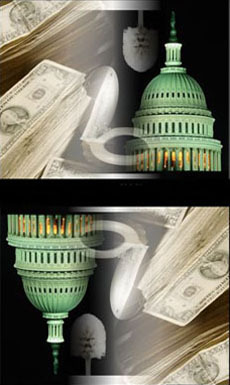 - The Other Side: The True Face Of C.I.A. -- The Bible - Word Of God Or Ecclesiastical Dogma? VIDEO Who Wrote The Bible? -- Religious Fundamentalism - Faith Or Dangerous Heresy? VIDEO The Assassination Of Martin Luther King, Jr.
-- Main Sources Of Conflict: Land, Water & Gas? -- 2006 Lebanon: Re-Invading Lebanon! -- 3/11 - An Election Tool? -- 7/7 - A Staged Attack? -- Cui Bono? - Who Benefits? Who Might Be Guilty? NWO: New World Order -- Still Fiction Or Already Reality? -- The Illuminati Agenda - Conspiracy Theory Or Fact? VIDEO Scott Ritter on "Target Iran: The Truth About the White Houses Plans for Regime Change"
-- Patriotism: Boon or Bane? -- Not In Our Name! -- International Law - Crimes Against Humanity: WMD Used Against Civilians! -- International Law - War Crimes: Death Squads Or "The Salvador Option"
-- Global Warming & Climate Change: Man-Made Or Natural? The Downing Street Memo Comes To Washington, Conyers Blasts "Deafening Sound of Silence"